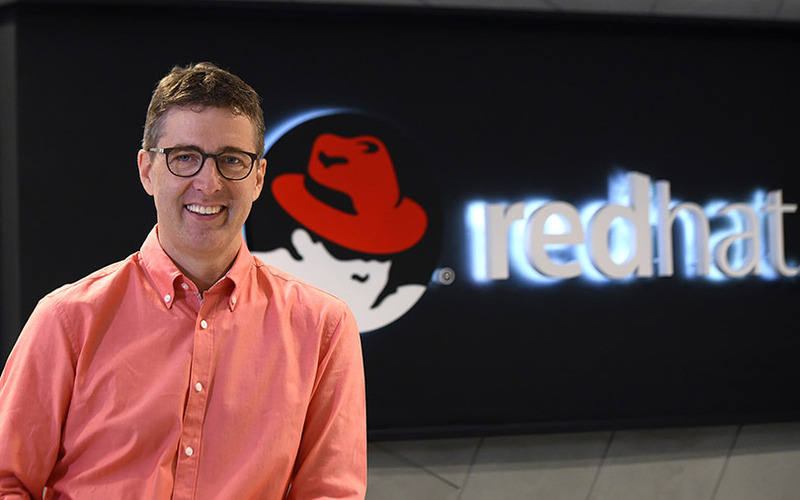 Red Hat Inc. has been associated with open source software for 25 years. The idea of the company, headquartered in North Carolina, US, took shape when its founder Bob Young started selling Linux and Unix software accessories in the 1990s. The company went public in 1999. A major portion of the company’s revenue still comes from subscriptions of the Linux open source operating system. It now faces tough competition from Amazon’s Linux. This is one of our biggest events globally. The India sessions are often well attended to the point that we have had to turn away people. This is a platform for our customers, many of whom have been with us for many years and have been instrumental in our success. This has to be seen in the context of open source. People were earlier skeptical, and we went through those [issues] when we were using Linux. You have been using open source before it became mainstream. How has that changed over the years? Have enterprises warmed up to the concept? I personally went through the motions a lot. We are now a very established brand. It is no longer scary for enterprise customers but more like a default choice. That itself has been a transformation for us as a company. Now we don't have to fight established platforms. Unlike other large firms, which have had to replace their technology, we are now pioneers and leaders. We are giving direction to the technology industry in terms of where it grows. How much of this change of attitude can be attributed to the rise of Google, AWS and even Microsoft's embrace of open source? It has been very helpful. If you want to innovate and access the best technology today, you have to turn to open source domain. They all have achieved the kind of success because they embraced open source. At the same time, they are our partners. Finally, our customers benefit as they now have the ability to develop in one platform with its safety assurance without any lock-in, apart from opting for any of the leading cloud providers and their applications. This gives customers the freedom of choice. How has been growth for you in India? How big is the research and development team? Asia-Pacific has been the fastest-growing region in the world and grew around 19% for the second quarter. We cannot disclose country-wise data for growth. We have R&D centres in Pune and Bengaluru and a support centre in Pune. We are using the centres in India for other shared services of the company, not just R&D and is an important location of the company. Are large traditional enterprises still worried about the security of the open source? Has that been a challenge? Safety and security is the top priority for most of our customers. If a product or software needs to be secure, it needs to be open source. The proprietary software is inherently not as secure as open source. There was a misconception earlier that if you can see how it works, people can hack. But it is the other way round--that you have so many eyes on the software that you can ensure there are no bugs, loopholes or potential for leakage in the system. In proprietary software, it often takes years before it can be detected. You will not even realise whether the data has been exposed and for how much time. In open source software, before anyone can hack on it, it will be closed. In the cloud era, has the security improved in open source? How fast are your customers moving to cloud? When you look at containerisation of data on the cloud, you don't necessarily know what is in a specific container. If you as a vendor or user decide to pick a container from a random repository and install the container on your system, you are exposing yourself because you don't know what is in there. We have technology on our platform to certify containers to make sure each container has what it is meant to have. The shift is gradual and nobody is going 100% to the cloud. We provide customers tools to even make the legacy applications cloud-ready and then deploy in a hybrid environment. You can then leverage the on-premise computing power irrespective of the cloud providers the customers choose. Do you see small and medium businesses as the early adopters of cloud and open source, especially in the Asia Pacific region? Yes, very much. We are aggressively going to the Tier-II and Tier-III cities in India. However, the largest verticals for us are the banking and financial sector and telecommunications. The manufacturing industry is also growing very well in India. The barrier to entry is low for MSMEs for cloud and open source technologies. Our channel partners in India understand very well and they know well where the technology is going. They have a direct connection with us. The partners are strong in the mid-market segment. We cannot break out how big that segment is, but their share of the overall sales is higher than in North America and Europe.